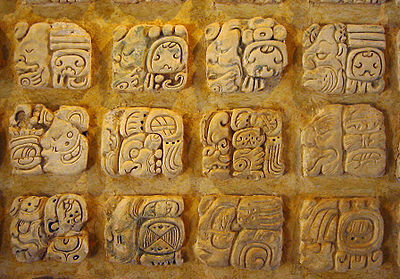 To the Maya, science and religion were one and the same. The Maya developed an impressive system of mathematics and astronomy, which was intimately related to religious rituals. Sometime after 900 AD, the Mayan culture declined dramatically and most of the cities were abandoned. Latest scholarship attributes this decline to the loss of trade routes due to war. One central aspect to Maya religion is the idea of the duality of the soul. The Maya saw one part of their soul as indestructible, invisible, and eternal. The Maya referred to this soul as "ch'ul," "k'ul," or "ch'ulel." The second soul, is the "Way', defined as "supernatural guardian" or "protector": This is a supernatural companion, which usually takes the guise of a wild animal and shares ch'ulel with a person from birth. A key aspect of this religion was the importance it had given to agriculture and the timeliness of harvests. 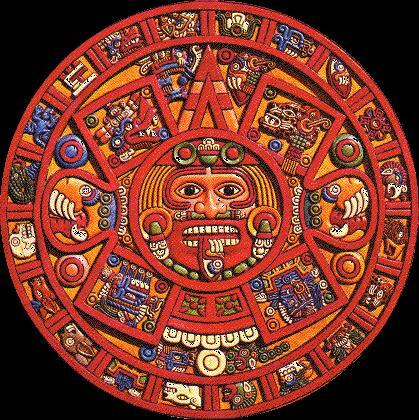 The Mayan religious calendar tzolkin comprised of only 260 days and two cycles each comprises of weeks spanning 30 days and 20 days. Their mathematical achievements included positional notation and the use of zero; in astronomy, they accurately calculated a solar year, compiled precise tables of positions for the Moon and Venus, and were able to predict solar eclipses. 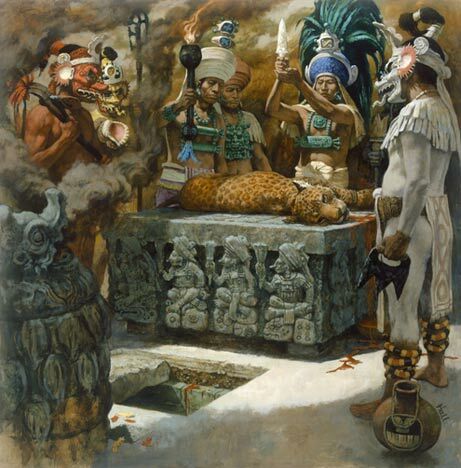 Human sacrifice seems to have been a central Mayan religious practice. A class of people called "Mayan Priests" performed the rituals of the Mayan temples. The followers of the Mayan religion believed in a relationship between human beings and supernatural beings. 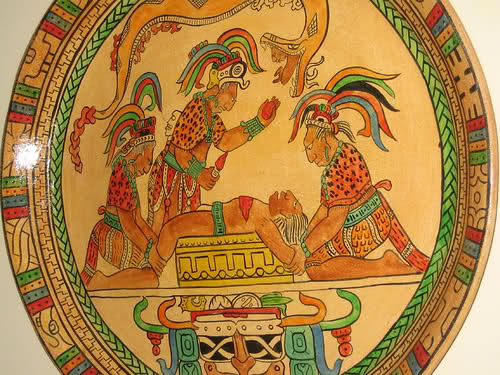 Mayan priests carried out the human sacrifice. It was believed to encourage fertility, demonstrate piety, and propitiate the gods. The Mayan gods were thought to be nourished by human blood, and ritual bloodletting was seen as the only means of making contact with them. As per the beliefs of Mayan religion, agricultural produce was the gift of god; hence they paid great attention to the cycles of rain and harvest. The Mayans appeased their gods with the human blood collected from the human sacrifice. During the festival time, the Mayans organized music, dances and prayers to please the Mayan gods. The priests were part of the elite and had as their superior, the ruler, that was also a political leader. During the ceremonies they were helped by assistants. As common women were considered impure because of their menstruation, they were not allowed to attend the ceremonies.